With Rapid Prototyping, models can be produced in no less than eight rubber or plastic materials within a few days and without mould costs. This saves weeks on production and delivery time. ERIKS engineers are often involved in the development of new products due to its expertise in rubber technology. In the past, in many cases a trial mould was produced at considerable cost and the delivery time would often be as much as 4 to 6 weeks. If the design had to be changed, the entire process would have to be repeated. 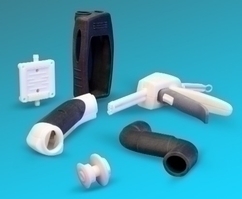 The possibilities of rapid prototyping technologies at ERIKS are unlimited. 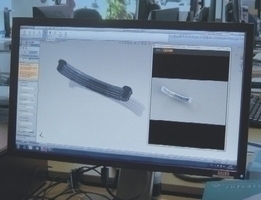 In combination with computer animation tools like SolidWorks, ERIKS makes 3D models on a 3D printer. You can fully analyse these sight and fitting models. You will see immediately whether the design is correct or needs further development. And you may even find new inspiration! This innovative development means a major advance in terms of quality. Sharp details, very smooth surfaces, tolerances down to 0.1 mm and wall thicknesses of at least 0.6 mm. The ERIKS locations in the Netherlands, Belgium and Germany possess 3D printers.